The Toyota Highlander is idea for family trips. It has enough room for the whole crew, including the dog, and all your luggage and other cargo. Before you head out on a road trip, you may want to consider adding a hitch to your Highlander. If you need more cargo space or have a boat or some Jet Skis you want to tow behind you, a hitch makes that possible. 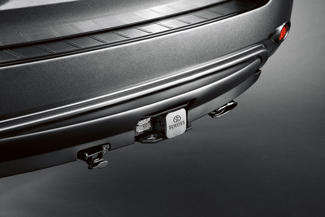 Genuine Toyota hitches are made to fit exactly as the factory designed them to fit and they’re made to meet the exact towing capacity of the Highlander. 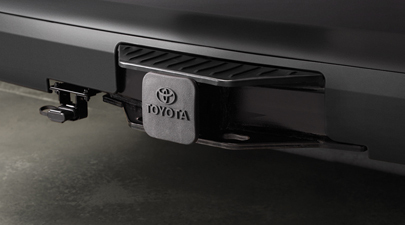 A factory part is manufactured to Toyota’s exact specifications, giving you peace of mind that your hitch will perform just as it should while you’re out on the road. 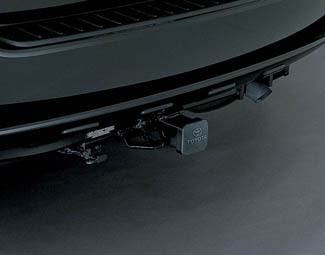 In addition to the hitch, you can add other accessories like receiver covers. We also carry a variety of trailer ball sizes and wiring kits for your lights. When you order your OEM Highlander parts from Olathe Toyota Parts Center, you get superior customer service from highly trained staff as well as wholesale prices. Order your hitch today and start making your vacation plans.